Tiara is a little anxious on her way to school this morning, but it’s not due to her commute. She’s got an exam. “I’m feeling a bit of anxiety,” she said. Luckily, Tiara’s Metro commute gives her extra time to study, review her notes and be primed for success. To get to class each week, Tiara boards the #21 Watson Road and rides the bus to the Shrewsbury-Lansdowne I-44 MetroLink Station. She transfers from her Blue Line train to the Red Line at the Forest Park-DeBaliviere MetroLink Station and rides to the Wellston MetroLink Station. From there, it’s a short walk to the Metropolitan Education and Training (MET) center. 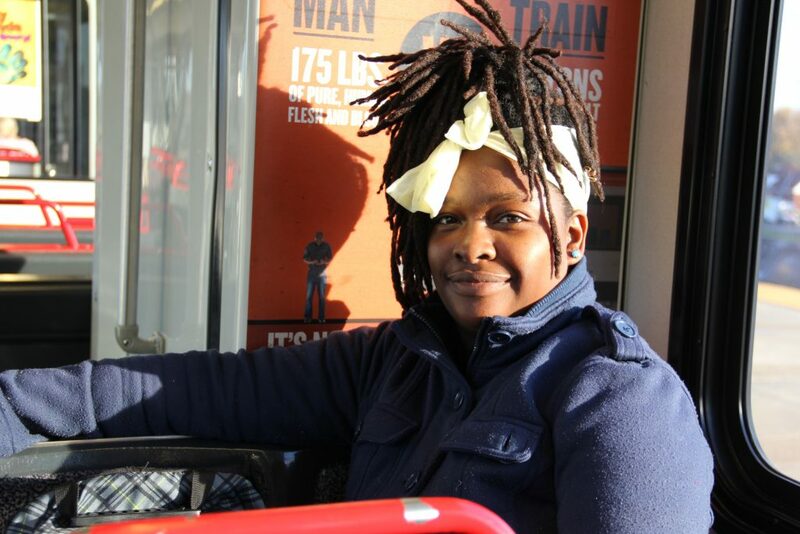 Tiara has been a Metro passenger for more than 10 years. Tiara said she enjoys how convenient her rides around town are, as well as the transit system’s cleanliness, safety and reliability. In addition to her school trips, Tiara also uses Metro to pick up groceries and to visit attractions in downtown St. Louis and in Laclede’s Landing.